Worpress is an open source tool. It is a self hosted tool that allow you to create blogs and customize them in your own way. 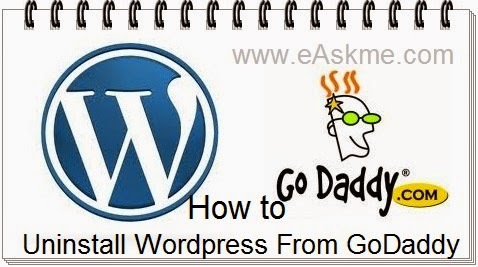 How to Uninstall Wordpress From GoDaddy ? You should take backup of all database of your blog because when you delete WordPress from GoDaddy it will delete all your blog entries images and themes. You can use the one-click uninstall process. You can manually remove supporting files and the database. Go to "Databases" then select MySQL. Locate the database and click the "X" button and click "OK" to confirm. Manually remove some extra files. Click on the "My Files". Select the files and click the "Delete".